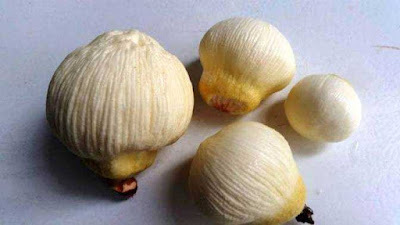 I wondered why you never see them in fresh coconut and with a little research I find they only grow in older coconuts. 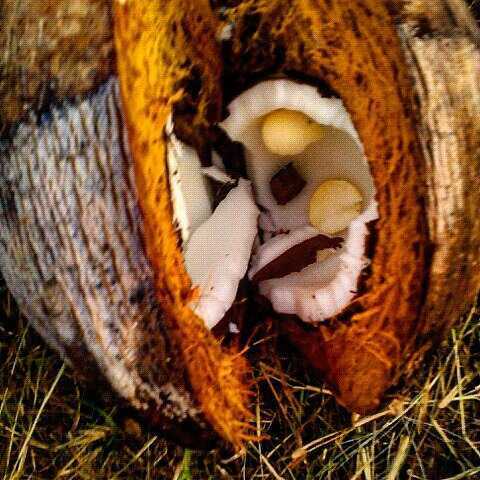 Leave a coconut full of water (milk) sit for 8-10 months and these will grow. They are popular in Colima and Michoacan.